CryptoRobotics is a freemium cross-platform desktop trading terminal for computers (macOS and Windows), tablets and smartphones (iOS, Android, Windows mobile) with one-click access and switching between major cryptocurrency exchanges. We make technical and trade analysis instruments similar to the stock market terminals (Quik, Metatrader) available to crypto. In the stock market traders have been using desktop terminals for trading on stock exchanges for more than 10 years. Functional and modern terminals on stock exchanges fulfill all the assigned tasks: they output scalable asset schedules, put indicators on them and independently read the required markers of these indicators, automatically create proposals according to the strategies laid down in them, monitor the indicators of the stock exchange and trade deposit, and etc. This allows us to assert that trading terminals on the stock market have become indispensable tools for traders. According to the forecast of experts in 2024 the number of participants of a cryptocurrency market will exceed 200 000 000 people and will outstrip the indicators of a classicalstock market. 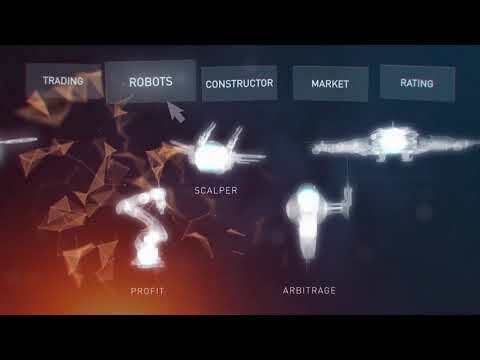 CryptoRobotics creates a cross-platform desktop terminal for trading on cryptocurrency exchange, introduces the usual tools for algotrading and creates new analytical and intelligent solutions in the development of robots for trading in new markets, applying the best experience of the stock and currency market.